It took a long time, now it’s almost time: Apple Pay launches in Germany. 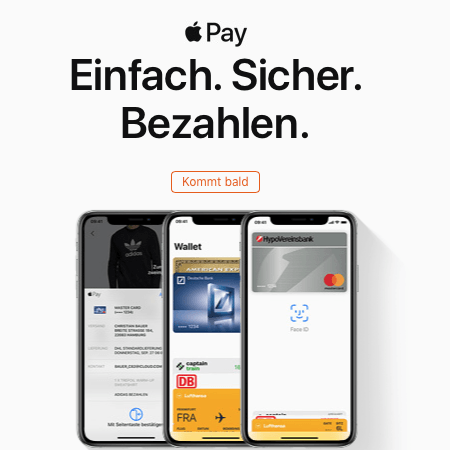 Apple has updated its own Apple Pay pages for Germany and partners, such as MasterCard, are already tuning in customers. So we can assume that it will be ready in the next few days. Exactly which banks will participate is not yet clear, but if your bank doesn’t inform you about the Apple Pay availability, it probably won’t be there, like the Sparkasse. Apple Pay is also directly available in apps: So it’s interesting for Berliners that the BVG App is included right from the start. Apple offers iPhone Xr for $18.99 monthly installment in the U.S.